BioDynamic Breath® is built on new approach to trauma release. This profound and revolutionary system of body/breath therapy integrates deep connected breathing with innovative conscious movements, body awareness techniques, bodywork and meditation. When skillfully combined in an integrated flow and safe environment these techniques result in releasing long held trauma from the physical and mental structures. The BBTRS® has at it roots elements of Wilhelm Reich’s body oriented therapeutic approach, combined with the soft and gentle techniques of Peter Levine’s Trauma Healing Modality. 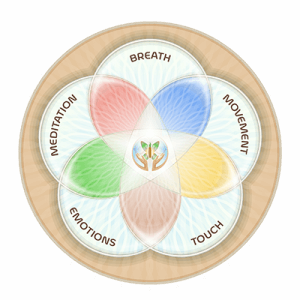 The BioDynamic Breath and Trauma Release System® was developed by Giten Tonkov after more then 20 years of self exploration, study, and experience of working with numerous individual clients and groups. The BBTRS® System is based on an observation of how tension is held and distributed in the body-mind structure. It is designed to break through layers of body armoring, inviting the release of mental, emotional and physical blockages right down to our central emotional and physical core. and awareness we move into emotional freedom and regain free flowing graceful movement and unrestricted breathing. We open up to acceptance of ourselves others and, celebrating life in it’s fullest. Which symptoms can be related to trauma? Fire Snake Tantra Massage – what is it? Promotional Spring Package – wake up your life! Connect with us on Social Media to be up to date with any upcoming events, promotions or just to read how our massages changed people's lives.